The Disney Frozen Fun Tour is making its way to select U.S. cities to promote the new film, Frozen. During this tour, kids will have a chance to sample tasty treats from Ore-Ida®, The tour also includes activities, crafts, themed lunch boxes and other giveaways. 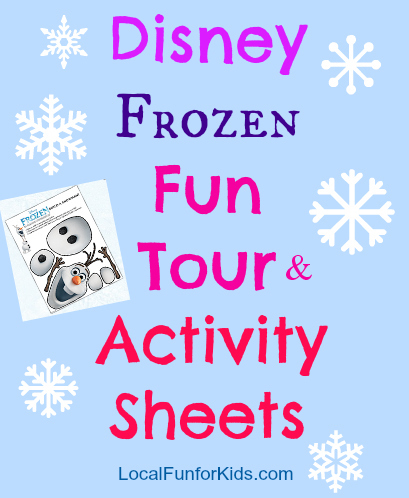 If you don't have a tour stop near you, join in the fun with some printable Frozen activity sheets below. In “Frozen,” fearless optimist Anna (voice of Kristen Bell) teams up with rugged mountain man Kristoff (voice of Jonathan Groff) and his loyal reindeer Sven in an epic journey, encountering Everest-like conditions, mystical trolls and a hilarious snowman named Olaf (voice of Josh Gad) in a race to find Anna’s sister Elsa (voice of Idina Menzel), whose icy powers have trapped the kingdom of Arendelle in eternal winter. The movie will be hitting theatres in 3D on Nov. 27, 2013. 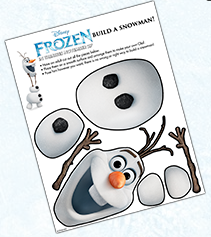 There are six Disney Frozen Printable Activity Sheets. Just click the link below to access the printables. I haven't seen this movie yet, but the mystical trolls and funny snowman make it sound like a very cute movie. Are you planning to see this with your kids?